The sixth animal in the hilarious AWESOME ANIMALS series – awesome adventures with the wildest wildlife. The otterly bonkers Brown family are HUGELY excited, as today’s the day they move to their new home. But when they get there they find the beastly Black family have got there first! This riverbank ain’t big enough for the both of them, so there’s only one thing for it: war. Well, not REAL war. 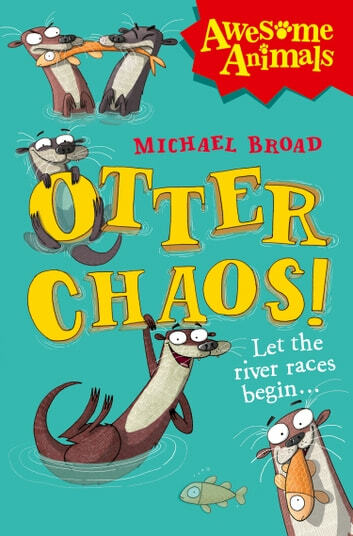 Otters are more into playing than fighting, so instead they decide to hold a giant sports day – and may the best otters win! Whether that’s the Browns or the Blacks, only time will tell, but one thing’s for sure, it’s bound to be OTTER CHAOS!